Fireworks season is around the corner, an annual concern for many of our anxious dogs. With planning and training it’s possible to make this a more pleasant experience for pets. Preparation is key so here’s a helpful list to get you started. The hearing range for dogs can be double that of humans. This means that fireworks and other sounds will be heard at a higher range of frequencies, exacerbating dog anxiety and stress in dogs. 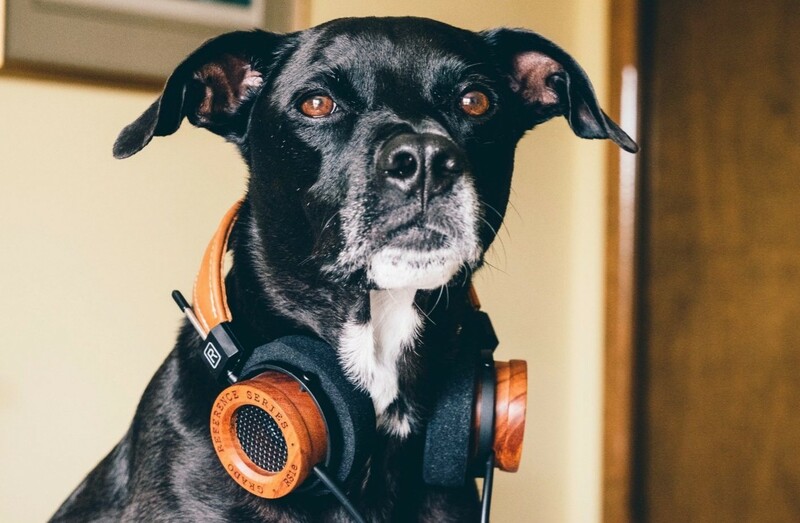 With CD’s and Youtube videos of fireworks you can accustom your dog to these sounds. We recommend starting slowly and increasing the frequency over time if tolerated. The volume should also be adjusted so the dog’s hearing can get used to increasingly loud noises. This takes time and should therefore be practiced at least 2 to 3 months in advance if possible. If your dog begins to react, reduce the frequency and volume of exposure and start building up again. Practice this exercise in various rooms of the house and at different times of the day. Always make sure to keep the door open in case your dog gets distressed and wants to leave the room. It’s important to stay calm so your dog does too. Don’t act nervous or frightened as this will affect your dog’s behaviour. Comforting and reassuring the dog can be counterproductive as it can reinforce fearful behaviour. Choose to replay the specific sounds that cause fearful behaviour and focus on these for your desensitisation programme. Never forget to go at the pace of your dog, so first accustom them to noises very slowly and gradually build it up. 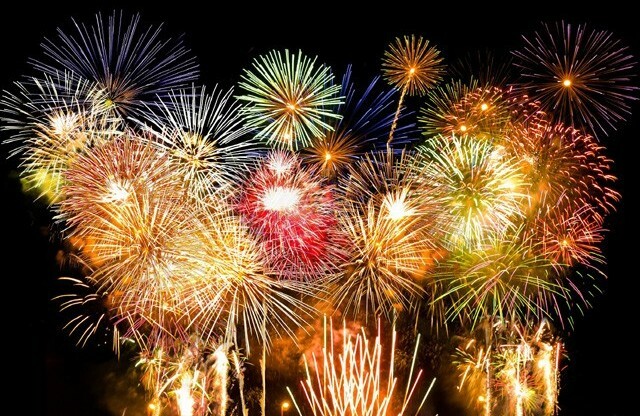 You can also take the focus off the real sound of fireworks outside by playing the TV or radio and closing the curtains. If your dog’s behaviour is improving, use the tastiest treats as reward. Other forms of reward are affection and playing but it all depends on what works best for your dog. It’s important not to give affection when he’s scared, even though it might seem the right thing to do. 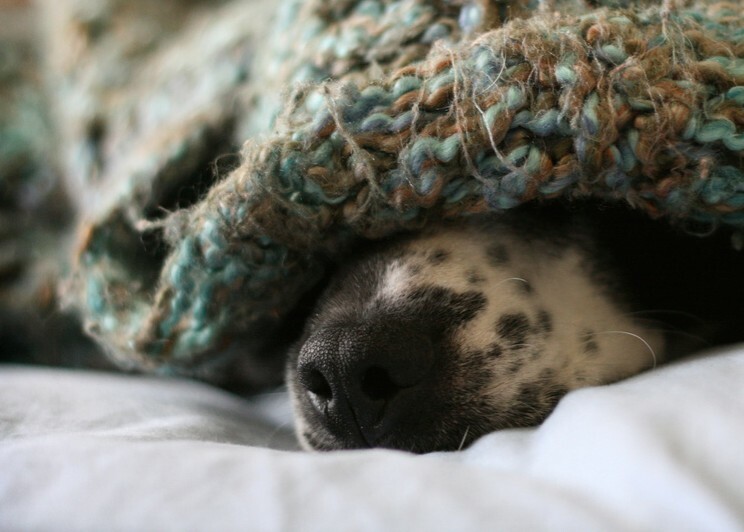 Build a space where the dog can hide to feel enclosed and safe during this season. This can be created behind the sofa or underneath a table, using boxes, rugs or a crate. The aim is that your dog has access to a comfortable and secluded space to help them feel secure. Make a strategic plan for what time of the day you choose to exercise your dog. Ideally do so when it’s very unlikely that fireworks will be going off; mornings and afternoons are best. Exercise is very important to reduce anxiety but will also help burn off energy, reducing the likelihood of becoming fearful in the evenings. They should also sleep more peacefully at night. Play games with your dog inside your home by using their favourite toy or ball. This will help to get their mind off what’s going on outside and be more successful if desensitisation has been practised beforehand. There are many natural calming tablets for dogs, pheromone sprays or diffusers that can help to speed up the process, without having to give sedatives or medication. All dogs respond differently so it’s difficult to predict the exact time to start. Early is best. According to Dogs Trust, 90% of dogs who went through their desensitisation programme showed a significant improvement after 8 weeks.